We’ve all believed that the Bills new “Process” involved moving out older, expensive and miscast players, and bringing in draft picks to rebuild the roster. 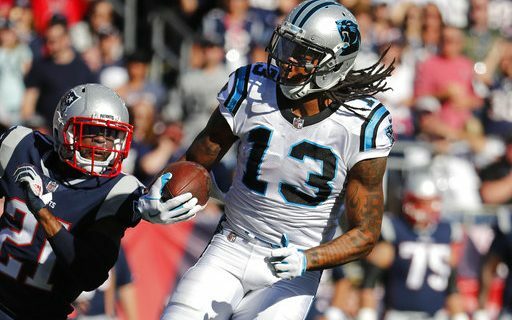 In acquiring Kelvin Benjamin from the Panthers for 3rd & 7th round draft picks, Brandon Beane and Sean McDermott have re-defined the Process as anything that makes the Bills a better team. It may be a bit of a surprise that the front office would give up any draft picks to bring in a player. But with the Bills off to a 5-2 start, and in position to make the playoffs for the first time since 1999, the time is now. Upgrading the wide receiver position was the team’s most pressing need. Beane & McDermott have been around the NFL long enough to know that plans always change and shift. What they did in August to move out players like Sammy Watkins was in line with the Process….then. Now, with the team maybe even exceeding their expectations, they knew how to adjust. Plus, this sends a message to the locker room that the management believes in them, recognizes their hard work and is determined to make the team better. Benjamin is familiar to both men from their time in Carolina. At 6-5, 240 pounds he is a huge target and someone who should improve on Tyrod Taylor’s ability to throw contested passes. He is under contract through next season. Even with the trade, the Bills still have five picks in the first three rounds of the 2018 Draft. Giving up one of the two third round picks seems more than a smart move to plug an immediate need. The Bills Process is not just about draft picks and smart money decisions. It’s about making the team better. They did that today with this trade.